Gus finished his Championship very quickly as a young pup. 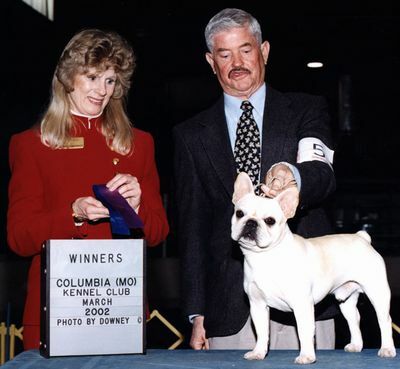 He has an outgoing attitude and is a proven sire of nice show puppies. We feel his pedigree is invaluable to the breed as he is both a Charlie Brown AND Polar Bear grandson! Copyright © 2003 - 2006 House Of Tucks French Bulldogs, Doherty Kennels & JLS Canine Services Web Design.